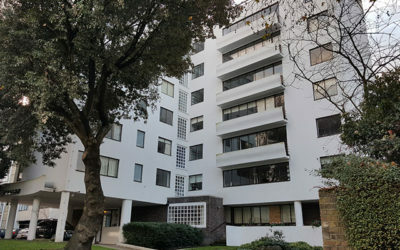 The character of much of Highgate is defined by small businesses and retail premises clustered in three main locations: Highgate High Street in the village core; Archway Road and Aylmer Parade. These areas provide a multitude of shops, services, community, education and leisure uses to meet the day-to-day requirements of residents, workers and tourists alike. They also comprise places to work and a vital source of local employment. To ensure their continued vitality and viability, the mix of uses within them should be maintained – and wherever possible, enhanced – to meet the needs of all. We want to attract visitors to our wonderful cultural resources, our pubs and restaurants and lovely open spaces. With a core team from local venues and organisations, we are developing a comprehensive tourism strategy. We are also working with students from the University of Westminster, who have conducted research and drafted proposals that will feed into our thinking. We have a signage project for visitors that links travel hubs to key venues including Highgate Cemetery and Lauderdale House. Economic conditions are challenging and high streets are struggling. 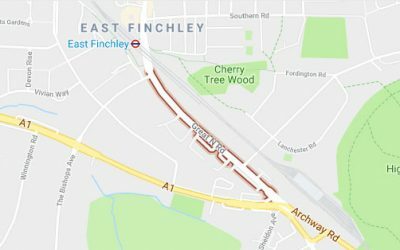 We are supporting local retail owners in Highgate Village and on the Archway Road to find appropriate uses for empty units and helping businesses promote themselves. One example is the Archway Open Studios initiative. 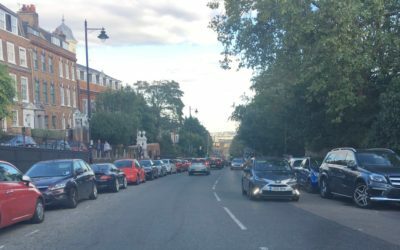 The Highgate Neighbourhood Forum will continue to work with Haringey and Camden to ensure that the mix of uses in the village is adequately monitored and managed. Any application proposing a loss or change of use of A or B class premises must not result in an unacceptable impact on the vitality and viability of, and employment opportunities with, the shopping area. III. An active frontage is provided, or if this is not possible, a window display or other appropriate town centre frontage. A change of use to A1 or A3 uses will be actively encouraged, provided it does not result in the loss of an important community facility or conflicts with policy elsewhere in the development plan. Aylmer Road Parade comprises the designated Local Shopping Centre at Aylmer Road and Cherry Tree Hill and the non-designated employment land and buildings to the rear. I. Within the Local Shopping Centre, proposals for retail (Class 1 uses) will be supported. The use of ground floor units for appropriate town centre uses will be permitted where the overall number of units in non-retail use will not exceed 50% across the entire frontage, unless it can be demonstrated the proposal will significantly enhance the vitality and viability of the centre. II. Employment floorspace including small office and workshop units (Class B1), particularly small units (100 sqm or less) suitable for shops, SMEs or start-up businesses, in and around Aylmer Parade will be retained for employment use, unless they can be shown to be no longer viable. In such a case evidence should be produced to show that the property has been suitably marketed for an appropriate period, in line with higher level policies. III. The provision of new small office, workshop and retail units (100 sqm or less) within the Aylmer Road area will be actively encouraged. IV. Any application proposing a loss or change of use of A or B class premises must not result in an unacceptable impact on the vitality and viability of, and employment opportunities within the shopping area. CA9: Enhance and promote Highgate and its social activities to visitors, for example with tourist trails. CA10: Explore as many mechanisms as possible to preserve and enhance the retail and service offering, including Article 4 Directions in partnership with both Haringey and Camden, eg grants for improved shopfronts. CA11: Work with TfL to relocate the 271 bus terminus to make the High Street more attractive and to free up space for community use. CA12: Work with the two Boroughs to have policies/activities, such as parking and refuse collection, as common and joined up as possible. CA13: Explore with TfL and the boroughs opportunities for enhanced road safety and street scene improvements to improve the economic attractions of the commercial areas. CA14: Campaign for fair parking restrictions and proportionate enforcement, with an eye on making it easier for residents and visitors to the area. CA15: Promote the area as a place of thriving SMEs. CA16: Campaign for community WiFi.